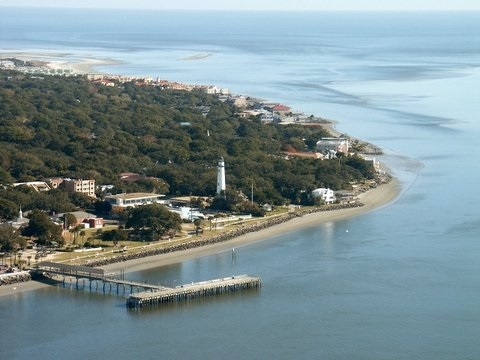 The Georgia Department of Natural Resources’ (GADNR) Coastal Resource Division (CRD) is the lead agency for Georgia’s Coastal Management Program (GCMP). GADNR/CRD’s Marsh and Shore Management Program (MSP), is responsible for administering three main enforceable policies and federal consistency, along with GADNR/CRD’s Compliance and Enforcement Program (CEP), has used a Microsoft Access database that was created in-house to assess, track and manage coastal permitting. That database was action-specific, meaning that it did a good job of tracking each permitting action taken, but was not readily capable of analyzing overall trends, such as the sizes of docks and other coastal structures as they change over time on a specific site, making cumulative impacts and land use nearly impossible to quantify. In 2010, Coastal Resources Division was awarded a federal grant from The National Oceanic and Atmospheric Administration (NOAA) for the development of a new permitting database framework using a web-based platform that is site-specific, rather than action-specific. This allows for staff to better track, manage, and assess cumulative environmental impacts and land use changes for coastal impacts as well as to make that information available to networked agencies and the general public via the internet. Staff continues to improve the historical data within the system. If there are specific questions or concerns regarding such inquiries please contact our Brunswick Headquarters at (912) 264-7128. EPD Water Quality Certifications, Buffer Variances, and Site Visit information is not supplied by or maintained by the Coastal Resources Division. Contact the Environmental Protection Division, at (912) 264-7284, regarding these records.